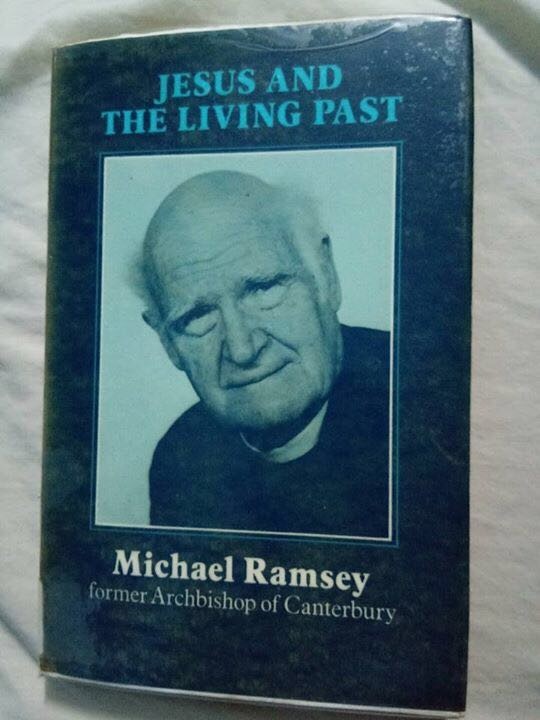 Michael Ramsey (1904 – 1988) was the 100th Archbishop of Canterbury. He was appointed on 31 May 1961 and held the office until 1974, having previously been the Bishop of Durham and the Archbishop of York. He was known as a theologian, educator, and advocate of Christian unity. 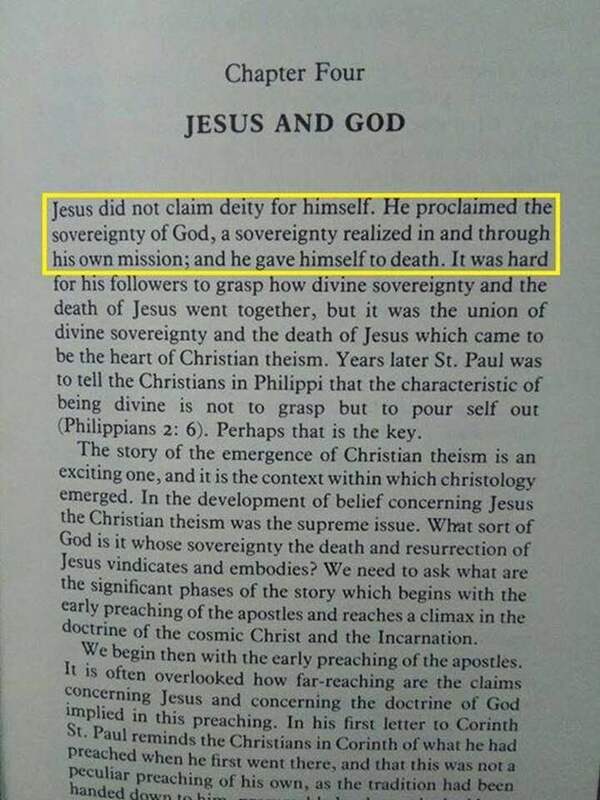 The former Archbishop of Canterbury informs us that Jesus did not claim deity for himself. Most NT scholars would agree in my experience. The book is Jesus and the Living Past (published by Oxford University Press, 1980). I would say that’s game over. Yes, game over if you belong to any group that reveres the words of mere human beings over the words of deity. I could not agree more. That’s why I am a Muslim. Game over indeed! When a leader of the church says that Christianity’s central tenet is false, the whole religion is done for. Of course, brainwashed zombies like our little simian friend Coco will continue to live in their fantasy world, rather than acknowledging the facts. Most of the religious practices and rituals you practice are not found in the book of allah. Most of the nuances of the laws of sharia are not found in the words of your god. The Book of God tells Muslims to follow God’s Prophet. This is basic Islam dude. You know so little! Which is why it is unlikely to be god’s book. No true god would make a flawed, sinful man into a role model – what would be the point? To teach humans how to be sinful and flawed? He gouged out people’s eyes. LOL, Coco’s god honored sinners and mass murderers like the Biblical David. Yet the moron is complaining about Muhammad (pbuh)! 40:55 Therefore have patience; God’s promise is surely true. Implore forgiveness for your sins, and celebrate the praise of your Lord evening and morning. 47:19 Know that there is no deity but God. Implore Him to forgive your sins and to forgive the true believers, men and women. God knows your busy haunts and resting places. The word for sin does not mean mistake or forgetfulness like Islamic liars have pretended. The Hughes Encyclopedic Dictionary of Islam defines the word as “a sin or a crime, or the charge of such”. Muhammad was a sinner!! For i am certain I shall not be resurrected and be sent to a fire. Let those who seek paradise waste their efforts! I guess we know who the real donkey is! LOL, poor Cerbie is so desperate! Here we have a prominent member of the church declaring that Cerbie’s stupid beliefs about Jesus are false, and the poor pooch can only deflect by appealing to the personal opinions of a drunken Umayyad caliph! more than you love muhammad. What’s the matter little donkey? Are you ashamed of your islamic history and leadership? Do you have anything other than Pointless ad hominems and baseless writings? It’s important to demonstrate the inconsistencies of these types of posts and the lack of nuance or balance in any religious tradition. LOL, Cerbie the neutered doggie pulls out the usual “liberal” argument. The archbishop has more credibility than you ever will. Comparing the archbishop, who is a scholar of your religion, to a drunken caliph who was not even a practicing Muslim let alone a scholar just goes to show that you have NOTHING substantive to add to the discussion. Business as usual for Cerbie! ROTFL!!! Rolling on the floor? Like a dog? Seems you are a little embarrassed by your caliph? Since you say you don’t listen to personal opinions, then why do you follow muhammadism? LOL, business as usual yet again! Cerbie the neutered dog has NOTHING rational to add to the discussion! Porky the pug sure likes to roll on the floor! Look at you pretending to care what scholars think. I guess you accept the theological leaning of al-Bagdadi then? No? And there in lies your hypocrisy. Or how about Kuwaiti writer Abdullah Al-Hadlaq said that Israel was an independent and legitimate sovereign state? You accept his conclusions? Or how about sheikh Ahmed deedat who said he hates the Jews and would drop an atomic bomb on them if he had one? You accept his conclusions? Oh little pig dog, do you have no shame in embarrassing muhammadism all the time? Bwahahaha!! Still NOTHING but pathetic deflections and red herrings! The fact is that you don’t recognize any scholarly source that does not agree with your a priori conservative views. You have no way to refuting these sources, so your last resort is to dismiss them as “liberal”. It’s quite pathetic, even for you Cerbie. Read my article on the book of Revelation. You will see that, in contrast to your silly accusations, I utilized scholarly sources. Whether you like it or not, both Christian and non-Christian scholars agree that Revelation is a book of its times and has no application to modern times. Sorry, replied in the wrong section. this post should be below. The neutered dog can only bark! How pathetic! Absolutely NOTHING substantive. Only childish deflections in a desperate attempt to lessen the damage done to your religion from within. Even your scholars agree that your religion is based on a bunch of lies! Ouch, that has got to hurt! No wonder Cerbie is so pissed! I’d happily refute the claim if evidence was provided. Note that your favourite reverend didn’t provide any evidence in the citation provided. Just a claim. Nothing more. But that’s basically the MO of Islamic thought so I’m not surprised that you would squeal about refutations when no argument is provided. I’ve demonstrated that your appeal to authority is just as fallacious as the claim that mo was perfect. I’ve further demonstrated that your hypersensitivity of scholars is a facade, and provided four scholars of your own whom you are yet to answer against. Your pooched on two accounts. And all you’ve done is rolled on the floor like the masjidian lapdog you are. Oh Lord, Cerbie’s train-wreck is such a mess! I guess that’s what happens when a neutered dog has been embarrassed so many times that all he can do is bark endlessly and make meaningless statements. Maybe you should read the book to find the evidence? Respected scholars don’t just make meaningless statements like you do Cerbie. They back it up with evidence. Oh I see. So this rev you love has refuted the church when you haven’t even seen his arguments? Right, I understand now. By you expect me to refute arguments that I can’t see and which you have no idea of. See how easily you expose yourself and embarrass the masjid? Hahahaha, all you have done is to deflect, which is what you usually do. There is no hope of ever having a rational discussion with a neutered dog. Scholars have respect and credibility. People like Al-Baghdadi are not recognized by ANY Islamic institution or even any western institution that specializes in Islamic studies. See how easy it was to refute your childish logic? Now, back to the topic. A respected scholar and a member of your religion has stated that Jesus never claimed divinity. Will you actually respond to this claim? Or will you continue to chase your tail? Oh boy, are you really that dense? As I have said, what he has said is recognized by both Christian and non-Christian scholars, you idiot! And anyone who reads the Bible can easily verify this information. I have read your NT, and I have found no evidence that Jesus ever considered himself to be divine. Actually Jesus did claim to be God. Because according to both the OT and the Quran, ‘The First and The Last’ is a name/title belonging exclusively to God. In Revelation 1:18 Jesus took that title and applied it to Himself. Jesus never said “I am the first and the last” at all. The book of revelation is John’s vision. John said he saw Jesus in vision saying so. The real Jesus never utter such thing. What we keep asking Christians is to show us where Jesus said he is God. Christians will come out with “I am”, “first and last”, “Emanuel” etc. “first and last” is not necessarily God but God’s attribute. God attribute is not God Himself.Even if Jesus is “first and last”, “Emanuel”, “God with us” etc, it does not mean those are God Himself. In the Quran God has many attributes including Mercy, Beneficent, Gracious etc. and each is not God Himself. Some Muslims who are called Rahman, Rahim, etc. will often say; “I am Rahman”, “I am Rahim”, “I am Rauf” etc. which are all exclusively God’s titles in the Quran. Does that make them God? No. So, Jesus cannot be God by saying “I am the first and the last”. It could be he is using God’s title like Muslims will say; “I am Rahim”. first and last is not God. I am is not God. Mercy is not God Himself. Love is not God Himself. God of Abraham, Jesus etc. is God Himself. Therefore “first and last” is not God Himself. Just say “I am God:” and case closed. The rest is rubbish. Bwhahaha, is that the best you can do? More childish logic? The Quran and the book of Isaiah are referring to the One God, not to your confused 3-in-1 deity. Not only that, but your pagan god from Revelation proved in the very next chapter that he was no god! In chapter 2, your god threatened the different churches for their heretical practices and warned them that if they did not reform, he would come soon and punish them. This never happened! The “sword of my mouth” reference is used again in Revelation 19, so it’s clearly referring to Jesus’ second coming. Your pagan god failed to fulfill his own prophecy! Barry White saw his “first and last” girl, baby, woman in a dream. I guess she is God. I may be wrong with regards to context of the passage in Revelation, but ‘first and the last’ could simply mean that Jesus(as) has the final say/word on all matters, just like any other prophet. You are wrong. And you’re clutching at straws. Bad sammie, whether Tiyaan is right or wrong doesn’t matter. What matters is that your appeal to Revelation backfires and exposes your mangod as an ignoramus who couldn’t accurately predict his own second coming. LOL!! Porky the pug who like to roll on floors now thinks he is an expert in apocalyptic literature. Poor, poor Cerbie. NOTHING to add as usual! Your god miserably failed to live up to his own threats. He never came to punish the heretical churches. Tell me Cerbie. Are the Nicolaitans still around? Sorry, I forgot to add…ROTFL!! Your mean the God and scripture whom your Koran affirms? That God? C’mon Porky the pug, just come clean, we all know you love to plagiarise other people’s ideas. You’ve never presented an original thought ever- just like a pig dog you only obediently follow what your imam commands you to do. Is Jesus God? Is he the son of God? How could we know? Where is the proof? Besides, how do Muslims see Jesus? What does the Qur’an say about him? In this episode of the Deen Show Joshua Evans, an American former Christian Missionary from South Carolina who has converted to Islam, explores the top 10 reasons why Jesus Christ is not God.